Fits 13-inch and 15-inch Macbook Pros, Macbooks and all similar-sized laptops. Can be stuck to anything! We are a small business. We pride ourselves on our customer service. Please feel free to contact us if you have any questions or special requests. You can write to us using our contact page. 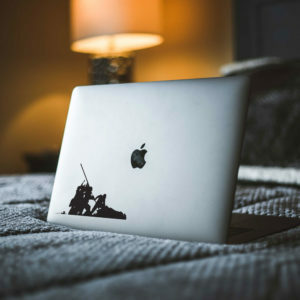 Looking for a custom decal? We love to make them so just get in touch! We do our best to respond to any customer emails as quickly as possible. Chances are we’ll reply straight away. However, please allow up to 24 hours for us to respond during work days and 48 hours during weekends. We can’t always be watching our screens!